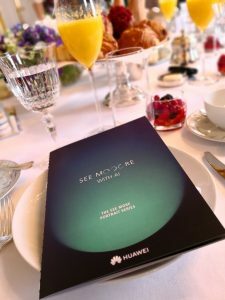 I thought it might be nice to share my story of the P20 Pro Launch that I attended last year as one of Huawei's International KOLs. For those of you that follow me on Instagram, Twitter, or Facebook, you’ll know that not only am I photographer, but that I’d also recently been beyond excited about the quality of the camera on my newly acquired Huawei Mate 10 Pro. Seriously, I was wildly impressed that I finally had a phone with a decent camera that meant I could capture quality images wherever I was, because I always had a camera (phone) with me. So, when Huawei invited me to join them as one of their KOLs for the global launch of their hotly anticipated handset, the P20 and P20 Pro, I’ll admit I was sceptical. The Mate 10 Pro hadn’t been out all that long, and with all the media pre-hype focussing (pun intended) on the photographic aspects of this new phone, I couldn’t help but feel that perhaps this was just a marketing exercise aimed to sell a few more devices. Turns out, I couldn’t have been more wrong. 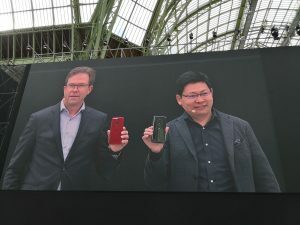 Despite being the third largest phone manufacturer by volume, the P20 launch comes at a time where Huawei are facing even more troubled times within the US market. Just recently, the FCC for still as yet unknown reasons, have stepped in to make US sales even harder, which comes on top of several carrier partnerships being dropped after pressure from congress. Without any actual reasoning behind this targeted attack against Huawei, the only people missing out are the American consumers, which in a tech focussed country seems just a little more than unfair. Lets rewind to the night before the launch, and I find myself in a wonderful roof-top restaurant with a glorious view over Paris. It’s here that I meet up with the other KOLs attending the event, and the ever-lovely Walter Jennings, Vice President of Corporate Communications, the man in charge of Huawei’s KOL programme. This was my first official event as a KOL, so it offered me a great opportunity to meet, and share thoughts with the others in attendance, which for this launch were; Tamara McCleary, Elise Quevedo, Shaan Haider, Diana Adams, Vladimir Vulic, Mike Flache, Penny Power, and Sally Eaves. Each of us brought something different to the table, but all with a shared interest in technology. The next day started early, not least because of the clear excitement in the air. Along with Elise and Vladimir, I put together a short video to capture the mood, ahead of leaving our hotel to venture to the first meeting of our day at the exclusive Hotel de Crillon. Here, we gathered in a beautiful dining room for the informal lifestyle launch of the P20 over brunch. We shared the room with carefully selected tech and photographic journalists, which at a guess, didn’t number more than 50 people in total. By chance, I found myself sitting one seat away from Peter Gauden, who introduced himself simply as ‘the product guy’, though latterly I’ll learn his actual title is ‘Global Senior Product Marketing Manager’ for Huawei. It is Peter that will shortly take to the front of the room and introduce us, under strict embargo, to the new device. This was a great move from Huawei. I’ve been to a lot of product launches in my time, and they all end up being a bit of a scrum. This allowed the company to introduce their stunning new flagship device in beautiful surroundings, in a calm, controlled environment. As a writer, being able to prep some of your content ahead of a time-sensitive event is invaluable, and this morning event allowed us all to do just that. Also, as it turned out, my proximity to Peter at my table, enabled me to persuade him, over beautifully scrambled eggs and bucks fizz, to get the just-revealed phone out of his pocket and let me be one of the first people outside of the company to actually play with one. This, was where the love started. After the short, informal, presentation (we weren’t given the full details, just some of the key points), a side door was opened and we were invited to look around a small gallery of images that had all been taken on the P20 Pro. 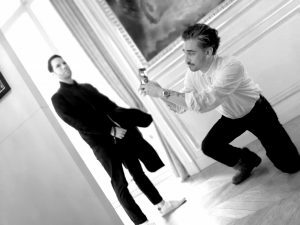 The images on display had been taken by Helena Christensen, and Leica photographer, Alex Lambrechts, both of which have been working with Huawei on the P20 Pro. Alex was particularly fitting as the P20 and P20 Pro continue Huawei’s partnership with Leica for the lenses and some of the other elements of the premium camera set up. Obviously, the images printed were stunning, but it wasn’t so much the content that I was looking at, but more the technical make up, and the way they had printed. These were large prints, and honestly, I was blown away by the clarity of print, which was at a level I would expect from a pro level DSLR. They were sharp, beautifully coloured, and had handled the light and dark in the scenes with incredible detail. Ever the sceptic and experienced marketer, I was keen to ask Alex what post processing had been done on the images, but he swore blind that these were unedited, and were as the phone had taken them. Outstanding. In small groups, we were given a short master class from Alex, where he gave us various tips to help improve our photography with the P20 Pro. These covered things like angles, light sources and some of the basic settings, which, when combined, should help even the most amateur get the best from the cameras on the phone. However, as I’ve since learned, the phone is so jam-packed with AI, which it uses seamlessly with the camera functionality, that literally anyone can pick one up and get impressive photographic results. 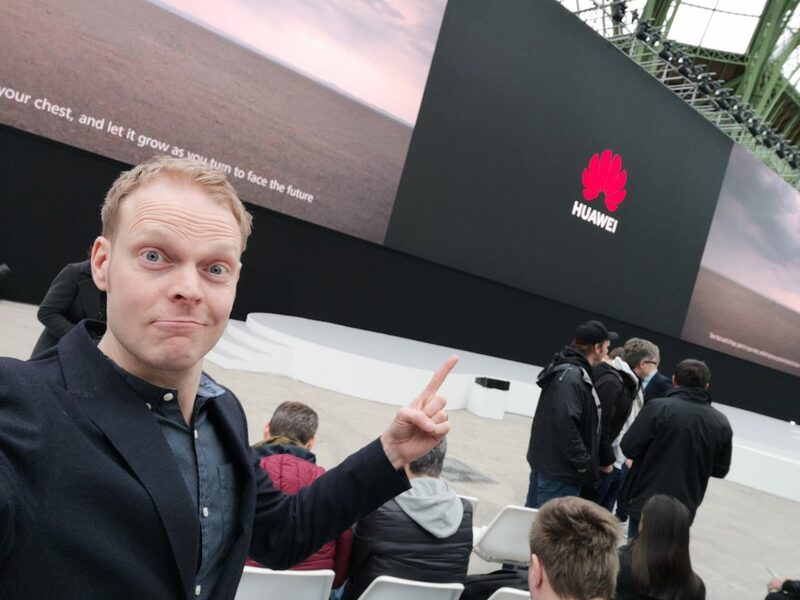 Masterclass complete, it was time to depart for the main event, the global launch of the Huawei P20 and P20 Pro at the Grand Palais in Paris. The atmosphere as we all queued up outside to get in was electric. Media from around the world had gathered to see what one of the biggest mobile phone manufacturers had to offer, and the conversations in the rabble ranged from the rumoured three camera set up, to the two-tone colour choices. As we filtered in, none of us could wait to find out which rumours were true, and what Richard Yu had up his sleeve to surprise and amaze us. 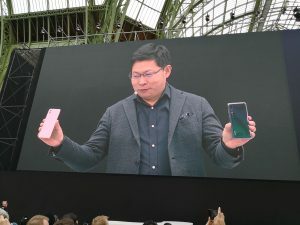 To thunderous applause, Richard Yu, CEO Huawei Business Group, took to the stage, clearly loving the limelight and beaming with pride about what he had in store. Richard is an interesting character in the Huawei family, and isn’t one to shy away from saying what he’s thinking, but I like that about him. He’s corporate, but clearly loves the company. During his keynote, there was more than one cheeky dig at Apple and Samsung, all of which got a positive reaction from the crowd. Before we got to the good stuff, he took a few slides to detail their new experience stores, which to be honest, look like every other experience store, with more than just a hint of a certain fruit about them. He also unveiled a new logo, meant to be softer and more consumer friendly, however, even with graphic design experience, I couldn’t really see a noticeable difference. Finally, the moment we had all been waiting for. The reveal! Almost like a quick draw battle, Richard reached in to two pockets and whipped out the P20 and P20 Pro. The sound of cameras and applause was deafening, and you could see from Richard’s face, that this was what he had been building up to. Slide after slide, he rattled off the key features of this new flagship device, which I’ll cover in more detail in a full review. Essentially, there are two models, the P20 and the P20 Pro, both feature cameras developed in partnership with Leica, and yes, the Pro has three. A 40mp colour, 20mp monochrome and an 8mp telephoto all adorn the back of the Pro, with a 24mp front facing camera for the selfie takers. 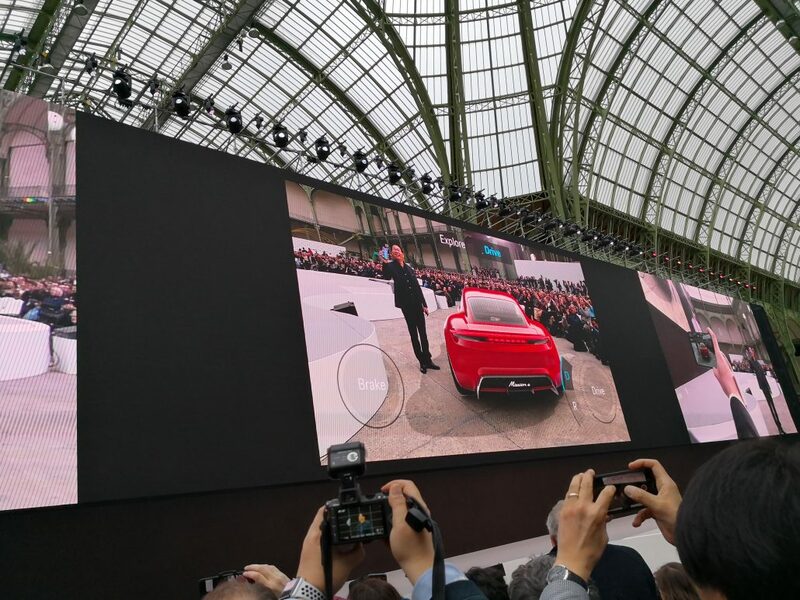 Photography being the main feature here, Huawei have cleverly chosen to bake AI in to the camera functionality, making use of their Kirin 970 chip. 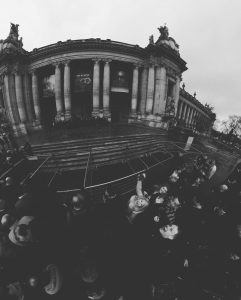 Using AI and machine learning, the camera can recognise everything it sees, and adjust the settings to get the best possible image. Food photography? No problem, not only does it recognise that it’s food, it recognises what kind of food and will make adjustments accordingly. My favourite stat was that it can differentiate between 32 different breeds of dog! To view those photos, you get a 5.8″ LCD on the P20 and a 6.1″ OLED display on the Pro, each with near bezelless design. Yes, the rumours were true, there is a notch. However, it’s much smaller than the competition, and in a first, you can effectively turn it off. Hardware wise, neither phones support external cards, but both come with 128GB built in, so more than enough. Again, as seems to be the trend now, there’s no external headphone jack, but both support bluetooth audio and come with a dongle to plug in to the USB C port. On the OS side, both phones are running Huawei’s own EMUI 8.1 over Android Oreo 8.1. Most appealing to me, was that the Pro features the same 4000mAh battery as the Mate 10 Pro. This is a serious beast of a battery compared to the iPhone X’s paltry 2716mAh unit, and in use, I’ve found I can easily go two to three days with moderate use. Next up was a demo of the AR functionality, which was seriously impressive. The example used was for car sales, and featured a new Porsche model that magically appeared in front of the phone. It was interactive, and allowed you to walk around the car, open the door, and even remotely take it for a spin. The fact a phone was powering this, was absolutely mind-blowing. Featuring the same camera set up as the P20 Pro, the Mate RS offers a better screen (a beautifully curved 1440p OLED), 6GB RAM, 256GB or 512GB storage, wireless charging, and a floating fingerprint sensor under the screen to compliment the one that’s on the back. Available in red or black, the Mate RS is available for an eye-watering 1,695 Euro, or 2,095 Euro for the 512GB version. While we are all getting our breath back, Richard took to the stage for one last time to announce the accessories range, which thankfully, were a bit more affordable. 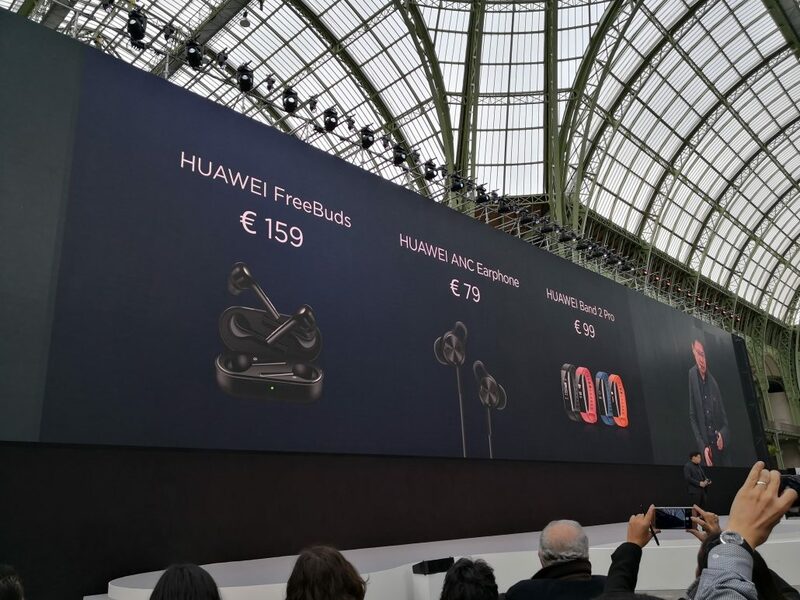 A line of premium cases, noise cancelling in-ear headphones, wireless FreeBuds offering 10 hours of playback, and most intriguing of all, a selfie stick with a built in light were all introduced. Perfect. Launch over we made our way back to our hotel, ahead of the after party where there would be the opportunity to try out the camera functions on the beautiful P20 Pros that we were fortunate enough to have been given. These were all in the twilight colour, which is arguably the most gorgeous of any device on the market right now. It’s one of two two-tone colour choices available, and despite being the one that everyone is going to want, is, at time of writing, not yet available to order through any UK carrier, unlike the standard colours. A top the Les Ombres Diner overlooking the Eiffel Tower, we gathered for a sophisticated soiree with a fantastic opportunity to try out the P20 Pro’s capabilities. As it got dark, we could also see just how much work they’d put in to it’s low-light capabilities. Long story short, it’s a lot, and I was able to capture some beautiful images of the Eiffel Tower all lit up, handheld. In subsequent tests, I’ve managed to get usable images in places where it was so dark, I could barely see my own hand, and without the use of flash. Huawei have done this by using the AI feature in combination with several long exposures and a class leading ISO range (up to a staggering 102400! ), and the results are pretty impressive. Rather than fill this article with more photos, please check out my Flickr album which contains a series of images from the night. Extra points for noticing the ballerina that appeared mid-drinks. 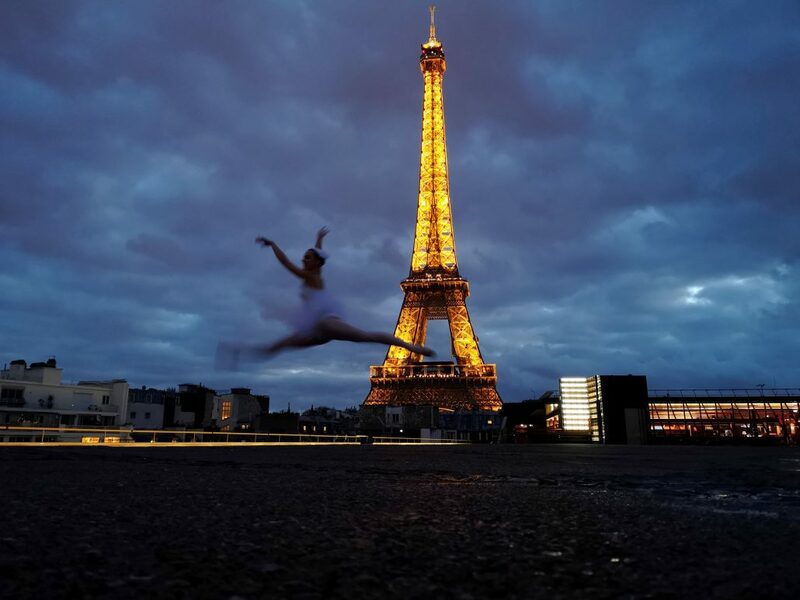 The above is a lucky image I captured just as the ballerina had stepped out to cool off. What’s particularly important to note here, is that it was dark when I took this. Very dark. She was moving fast and I have done no post processing of the photo. I literally pressed the shutter button and the P20 Pro has done all the work. It’s absolutely incredible. 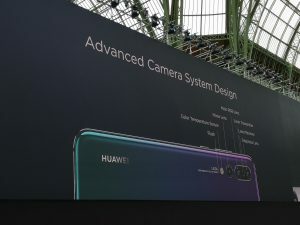 So, have Huawei done enough with the camera functionality? DXOMARK certainly seem to say yes, giving the P20 and the P20 Pro the highest ratings of any other camera phone on the market, and not just by a little bit either, putting it head and shoulders above the Samsung S9 and the iPhone X. The launch of the P20 series of phones comes on the back of news that 2017 saw Huawei increase their profits by 28.1 percent, which is no mean feat considering the pressures faced from the US market, and topples the 0.4 percent growth in 2016. Their bread and butter is still in mobile network infrastructure, but a good portion of this growth is attributable to their increasing consumer business, which sold over 153 million smartphones last year alone. Having played with the P20 Pro for a few days now, it turns out I was wrong. The Mate 10 Pro, although incredible, is not the best smartphone I’ve ever owned, it’s the P20 Pro. It’s like having a camera with a brilliant phone, rather than a particularly brilliant phone with a camera. Somehow, Huawei have made the best, better. Huawei iKOL, fan, and user.